British Air Chief Marshall and NATO military committee chair Stuart Peach calls on NATO to continue to be transparent about its goals and capabilities in the era of disinformation and fake news. 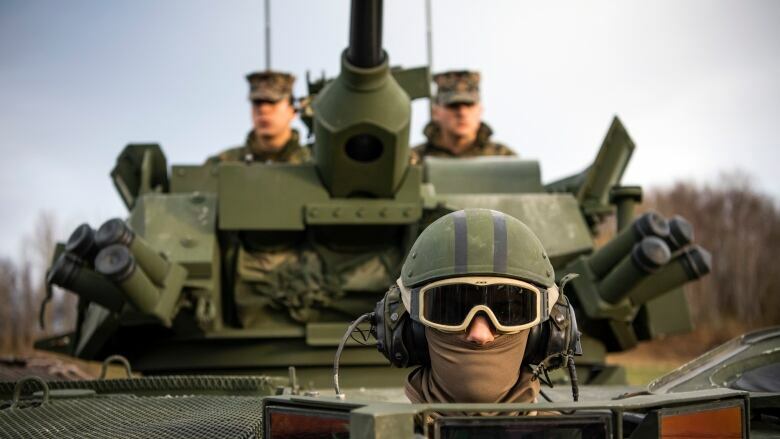 NATO flexed its military muscles recently in the alliance's biggest war games exercise since the Cold War. With almost 50,000 soldiers, 65 ships and nearly 10,000 vehicles participating, the large-scale military show of force was by design, said British Air Chief Marshall Stuart Peach. "It demonstrates to any theoretical adversaries that we have adapted to the times we're in," Peach, who chairs NATO's military committee, said in an interview with The House Friday. "It sends a message to the world that we're ready, 360 degrees, to defend and if necessary, to deter." Trident Juncture 18 was aimed at training the Alliance to mobilize quickly to defend an ally under attack. It took place in Norway and will shift to another location in two years' time, Peach said. In this age of disinformation campaigns and "fake news," Peach said, NATO must continue to be transparent about its goals and capabilities. "We have to make sure our own narrative is truthful. I think the public diplomacy aspect of the alliance is important — to tell the story to the people of alliance countries why NATO matters, why NATO continues to adapt, and how we have to respond in a world where some information is inaccurate and misleading with our own version of the truth that people can trust," he said. NATO second-in-command on a European army: good idea?